MPa Pressure Services International announces the launch of its range of ‘TH’ High Pressure Reciprocating Gas Boosters and Compressors. MPa Compressors are hydraulically-driven, dual acting piston compressors capable of output gas pressures up to 200 MPa (30000 psi) and higher. The non-lubricated gas piston seals make this design suitable for compressing a wide range of gases and equally applicable to pumping liquids. 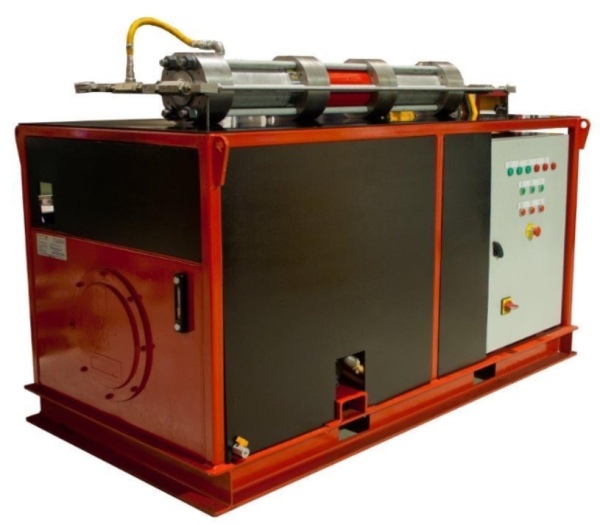 ​The design of this type of compressors lends itself to reliable operation and ease of maintenance. Two models shown here are a THB Booster and a THL Compressor. The performance characteristics of these particular units are shown in the Table below. Other Models are under development to extend the range of output pressures and discharge flow rates​. Alternative fuels, e.g. hydrogen, hydrocarbons etc.